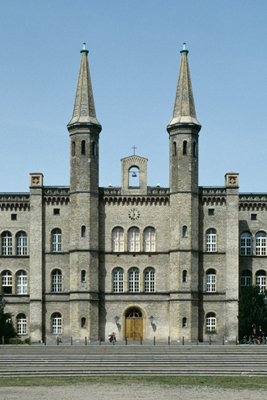 Kunstraum Kreuzberg in Bethanien have asked us to provide new furniture for the public areas and reception of the exhibition spaces. 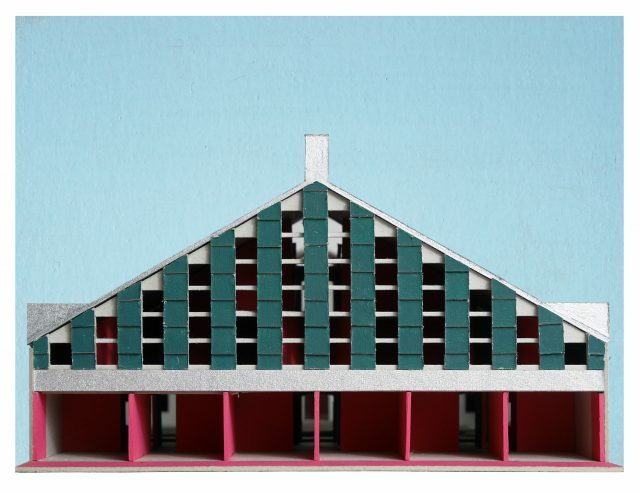 The project which is undertaken in collaboration with Eva-Maria Stadelmann and Frank Joachim Wössner will be installed in spring 2019 in the listed building by Ludwig Persius at Mariannenplatz, Berlin which is now used as a cultural centre. We have been invited to develop an anonymous drawing from Drawing Matter’s collection into a model which extends the original vision into a new format. The exhibition has been curated by Jantje Engels and Marius Grootveld, in collaboration with Drawing Matter and the Architecture Foundation, London. Our model and the drawing will be on display from 23rd March – 14th April in Cork Street, London, together with 80 European practices. Click here for further details. 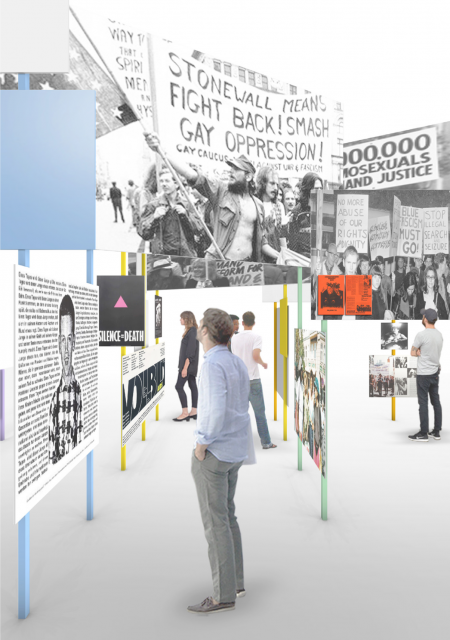 We have been asked by Goethe-Institut New York to provide a design to reflect the cultural influences and implications of New York’s 1969 Stonewall Riots in the following decades in the U.S. and Germany. The exhibition design, which has been conceived with Eva-Maria Stadelmann and Frank Joachim Wössner, proposes a simple structure of battens and panels, assembled in a loose spatial arrangement as an open archive to open up new views and relationships. The dynamic display allows the visitor to enter the installation and therefore supports a direct discourse with the themes and contents. Construction is deliberately low-tech to reinforce the interaction of visitors with the materials used and to enable low-cost one-off productions at each of the exhibiting venues. The display’s flexibility reflects the size and characteristics of each space and makes every exhibition unique. Our proposal for a visitor centre to support Bertolt Brecht and Helene Weigel’s Haus in Buckow has been awarded with an Honourable Mention. 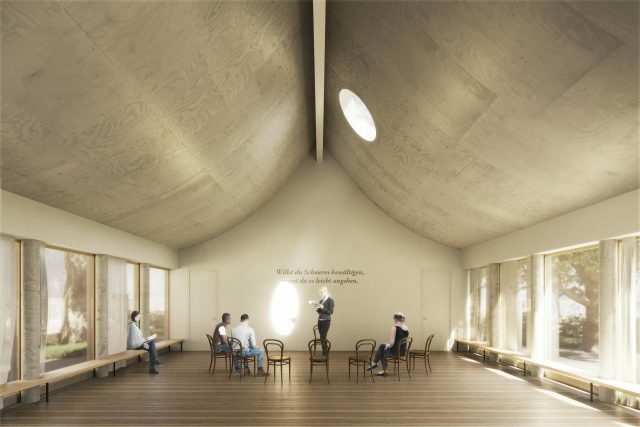 The project which has been conceived in collaboration with Adam Khan Architects, accommodates a tall reception, large hall for lectures and events, visitor facilities and offices under a tent-like and gently curved roof which is sitting as a light timber pavilion in the lush gardens of the protected heritage site. 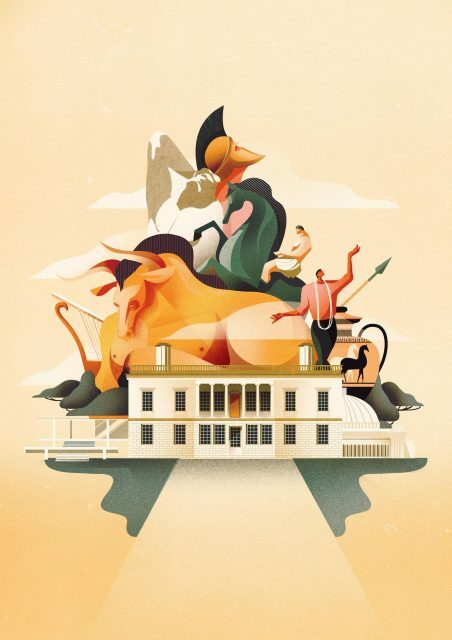 As part of the festival ‘Metamorphoses’ organised by The Architecture Foundation in London, Bernd Schmutz has been invited by Ellis Woodman to a day-long symposium on 7th October to explore classical currents in contemporary culture and architecture. Our presentation ‘Soft Symmetries’ demonstrated the relevance of classicism in our work as an inspiration and source for transformation. Speakers at the Hawksmoor Room of the Old Royal Naval College included also Timothy Smith & Jonathan Taylor, David Kohn, George Saumarez Smith, Chris Dyvik & Max Kahlen, Norreile Breen, Pier Paolo Tamburelli, Andrew Phillips & Melissa Johnston, Amin Taha, David Knight & Cristina Monteiro and Adam Nathaniel Furman.